(Newser) – Les Moonves is departing CBS as sexual harassment allegations continue to pile up—but he won't exactly be leaving empty-handed. The New York Times, citing "sources familiar with the settlement agreement," reports that the longtime chief executive could receive more than $120 million under his agreement with the network, even after around $20 million is deducted from the severance deal and donated to organizations supporting equality in the workplace and the #MeToo movement. The network is also reshaping its board of directors, with six new members, including three women. 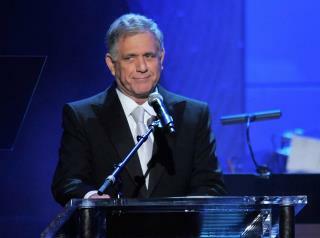 Leslie Moonves on Donald Trump: "It May Not Be Good for America, but It's Damn Good for CBS". That's his priorities. I hope the women he hurt sue his great grandkids. what is going to do with that much money? ?